The increasing use of fixed and mobile devices data has lead to a significant shift in the way consumers and enterprises behave. Telco networks, infrastructure and servers generate large amount of logs and messages—transactional data that are valuable for businesses to drive revenue and improveoperations. However, the problem lies in their inability to determine how to exploit these massive amounts of transactional data for business returns. GlobeOSS, a company headquartered in Kuala Lumpur, Malaysia, has an answer. 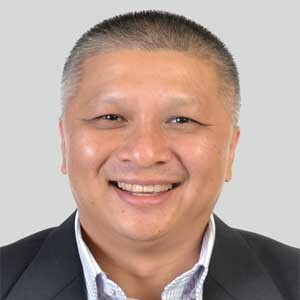 “Our approach is simple; we extract network information for business monetization and operational intelligence by bridging the gap between network transactional information and business team,” says Ann Wan Kuan, CEO and Founder, GlobeOSS. With more than 20 years of experience in OSS & Telecommunication Industry, he is spearheading GlobeOSS’ journey to help companies monetize transactional data. GlobeOSS Integrated Transactional Data Intelligence Framework enables customers monetize transactional data and reduce operational cost. The framework is flexible such that it reuses existing infrastructure and add only the necessary components for desired business benefits. “Our solution collects, controls, mediates, correlates, monitors and reports transactional data,” quotes Ann Wan Kuan. The key information extracted from the transactional data in real-time provides understanding of the subscribers and enterprise behavior in relation to services and network application, the data networks transacted over multiple sectors, and understanding of usage patterns locations and devices. The company’s unique NetworkIntelligence Centre that provides flexible and cost-effective outsource services based on various ownership models. Acting as a central transactional data intelligence surveillance centre for serving customers of network monitoring needs, it utilizes carrier-class transactional data intelligence platform to offer the solutions as managed services. This includes fault management system, performance and service management systems, reporting, dashboards and service desk solutions. GlobeOSS’ Customer Experience Management enables mobile operators to monitor and manage customers experience from device types, network, and locations perspective. Using Service Quality Management, network monitoring is enhanced by understanding the transactional data on the wire rather than just network element performance. In the case of RAN Revenue Sharing, the mobile operator enterprise sales team needs to spell the spare capacity in the RAN to another Mobile virtual network operator (MVNO). To bill 3rd party MVNO, the company extracts transactional datain real-time and bills the usage by transaction for networks. Data Monetization helps in reusing the existing data extraction infrastructure. In a nutshell, GlobeOSS helps in monetizing the subscriber transaction information for new revenue opportunities. “Our key differentiating factor is the Transactional Data Intelligence (TDI), which enables customers to manage their networks and monetize their transactional information,” explains Ann Wan Kuan. The company’s key strategy is its simplicityin deployment of services and speed in recovering the ROI for customers. GlobeOSS focuses on key service areas including planning, service assurance, customer experience management, revenue management and big transactional data. Over the last 7 years, the company has served various telecommunication operators and enterprise companies in Asia Pacific, such as SingTel, Maxis, Celcom, DST, Indosat, DiGi, Telkomsel, Globe Philipines, Ericsson and HP. In an instance, one of the leading mobile operators in Malaysia has engaged with Globe OSS for many of their TDI requirements. Through the company’s expertise in TDI, the operator was able to achieve customer experience management, service quality management, RAN Revenue Sharing and Data Monetization. Moving forward, “We would concentrate on enhancing the current transactional data intelligence services leadership while focusing on new technologies like SDN and NPV,” concludes Ann Wan Kuan. Helping companies monetize transactional data with modular Integrated Transactional Data framework.